Singapore-based Cube Highways and Infrastructure Pte. Ltd, which owns and operates toll roads in India, is in initial discussions with cash-strapped Infrastructure Leasing and Financial Services Ltd (IL&FS) to buy some of its road projects, The Economic Times reported. Citing three people aware of the development, the report said the toll-road assets are valued at $1.2 billion. IL&FS Transportation Networks Ltd, a listed unit of IL&FS, has 28 road projects under the build-operate-transfer model, of which 21 are operational and the remaining under construction. Last month, The Economic Times reported that Italy’s Benetton family-controlled infrastructure group Atlantia was in advanced talks with IL&FS to buy some of its road projects. Cube Highways is a joint venture between global infrastructure investment firm I Squared Capital and International Finance Corporation (IFC), the private-sector investment arm of the World Bank. As on December-end 2017, Cube Highways owned more than 1,700 lane-kilometres of highways in India. KPMG is advising Cube Highways on the potential deal, the report said. IL&FS, which was taken over by the government last week, is also in talks to sell many of its assets to pare debt, which stands at around Rs 90,000 crore. Earlier this week, Mint reported IL&FS was looking to sell 775 megawatt of assets of IL&FS Wind Energy. Last month, Mint reported the Aditya Birla Group was in preliminary discussions to acquire IL&FS Education and Technology Serviceshttps://www.vccircle.com/bnp-paribas-may-exit-geojit-adia-unlikely-to-subscribe-to-il-fs-rights-issue. Also, VCCircle reported that private equity firm Blackstone was in talks to buy IL&FS Financial Centre at Bandra Kurla Complex in Mumbai. In another development, private equity firm TPG is in advanced discussions with Ess Kay Fincorp to pick up 30% stake in the Jaipur-based non-banking financial company for Rs 350 crore, The Economic Times reported. Citing three people aware of the development, the report said TPG is the highest bidder. In January, multi-stage private investment firm Norwest Venture Partners had led a $32 million (Rs 200 crore) round in Ess Kay Fincorp. Private equity investor BanyanTree Growth Capital had fully exited the company in that round. Ess Kay Fincorp operates in Rajasthan, Gujarat, Punjab, Haryana, Madhya Pradesh and Maharashtra through a network of 226 branches, according to its website. Separately, home-grown digital payments and e-commerce firm Paytm is in talks with Chinese e-tailing giant Alibaba-owned mobile Internet company UCWeb to buy its India business, The Times of India (ToI) reported. Later in the day, UCWeb, however, issued a statement saying the report was "untrue". UCWeb owns the UC Browser, which has a market share of 51% in India, according to the report. Citing people aware of the development, the report said UCWeb’s India business could be valued at $400-500 million. Paytm is looking at this acquisition as an opportunity to expand its customer base as browser is the gateway for new internet users, the ToI report said. In its statement, UCWeb, however, said that as "UCWeb is committed to our globalization strategy and India is our biggest and most important growth market. We have been present in India for 7 years with 130 million monthly active users and have a long-term commitment to the country". It further said that UCWeb will continue to actively co-operate with partners bringing better service and content to Indian users. 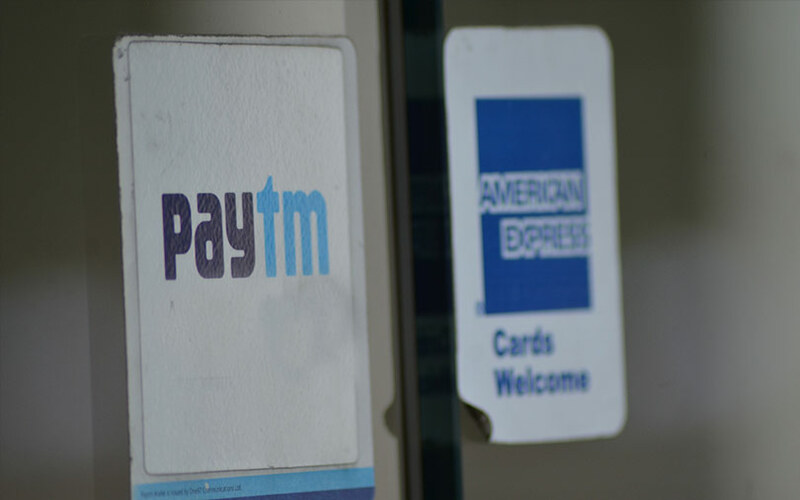 In 2016, Noida-based One97 Communications Ltd had separated its e-commerce and payments businesses under Paytm E-Commerce Pvt. Ltd and Paytm Payments Bank Ltd, respectively. In February 2017, Paytm launched its e-commerce marketplace Paytm Mall.Alibaba is a major investor in One97 Communications and Paytm Mall.